All borders have been notified after a female Thai jeweler was found bludgeoned to death in a Lat Prao hotel room on Sunday. CCTV indicates that the murderer is likely to be a South African man. Susama Reunrit, 35, from Kanchanaburi was found wrapped in a blanket on the floor by her bed in her room on the 6th floor of the hotel in Lat Prao Soi 130, Klong Jan, Bangkapi. She had head trauma. There was blood on the bed and fragments of the toilet bowl in the room. Earlier the cashier had called to the room as it was time to pay. Customer service had contacted a man from the Netherlands who was a friend of Susama in an adjoining room. They used a spare key to gain entry to her room and found her dead and called the cops, reported Thai Rath. The evidence is that Susama checked into the hotel at 9.50 pm on Saturday night then she went out to eat. She returned at 4 am. At 8 am a man called Mzwakhe Memela, 38, from South Africa was seen on CCTV going into her room. He left looking suspicious at 8.45 am. No one else was seen going into the room. 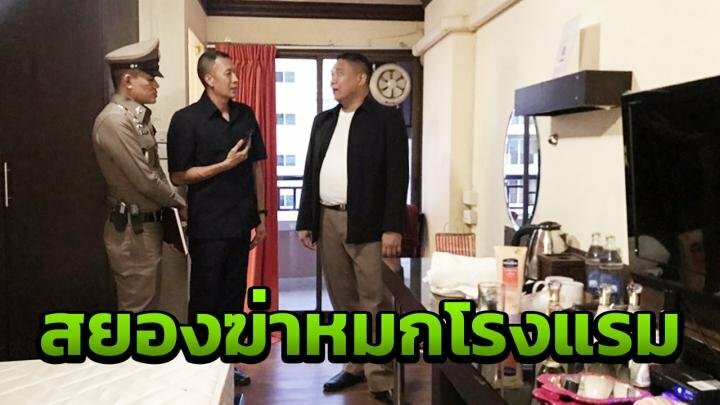 Lat Prao police contacted immigration as the hunt for Memela began. How the heck can anyone pronounce that? He left looking suspicious at 8.45 am. Being a black African in LOS is always seen as suspicious. I'm assuming he's black on account of his name. That's not an Afrikaan name. How did she know the African guy? Why was it she had another foreigner friend in an adjacent room? Seems some information into the past is missing. Hopefully the scumbag will be caught. I imagine her family have more things on their mind. Condolences to them and all her friends and loved ones. All to be revealed in the next episode. I think many of us would be able to spot a person acting supisiously? Obviously you live in a Vacuum. And why did she allow the man in her room ?